Hey ya'll! This is my *first* post here for Jodi, but I already feel at home with the Jocole family! When I burst onto the self-care sewing scene like the kool-aid man, ya'll were huge in building my confidence and inspiring me at every turn. So I thought it was high time I returned such generosity! 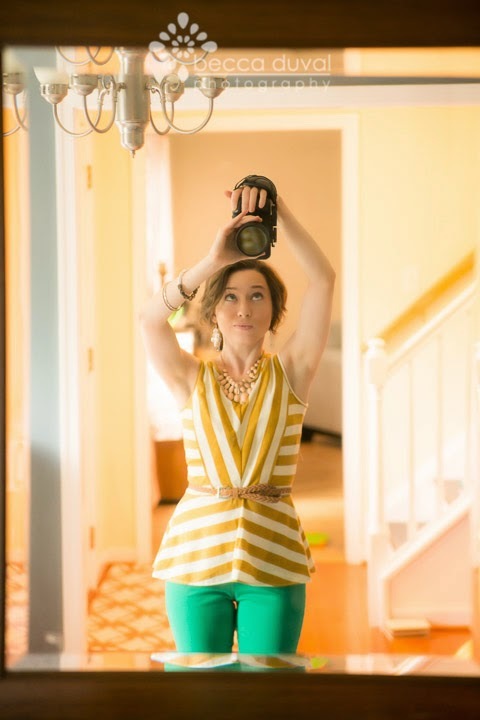 Today, I'm going to taunt you with the unreleased peplum tee show you how to adapt the upcoming peplum tee with easy nursing access. Now, don't fret! Just because this pattern is unreleased, doesn't mean you can't whip up your own version tonight! 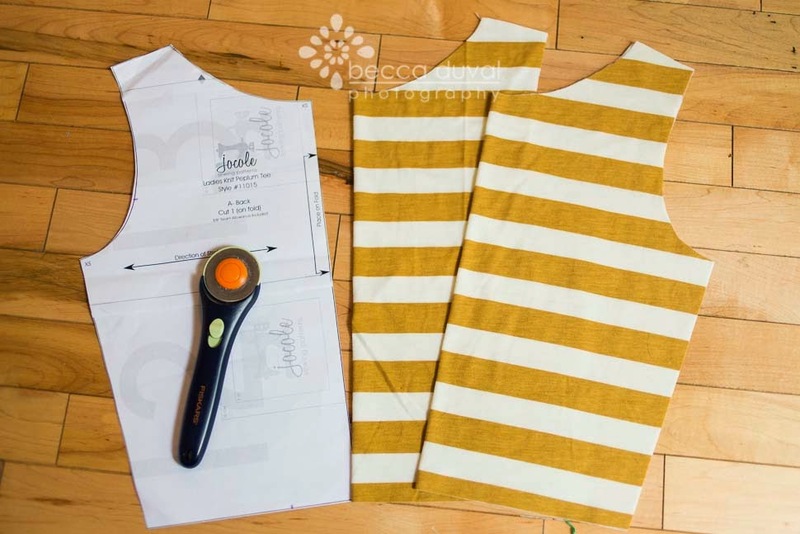 You can use this same tutorial to adapt any knit bodice pattern you have laying around. The quick dress, for example, would make an excellent substitute. Let's hop to it, shall we?? As with all of my projects, this one started with a need. Mine is 13 months old and HUNGRY. PATTERN? No brainer! This peplum tee / pencil dress / a-line maxi bodice / whatever-else-I-dream-up-tonight pattern is so versatile that I knew it made the perfect canvas for this masterpiece. 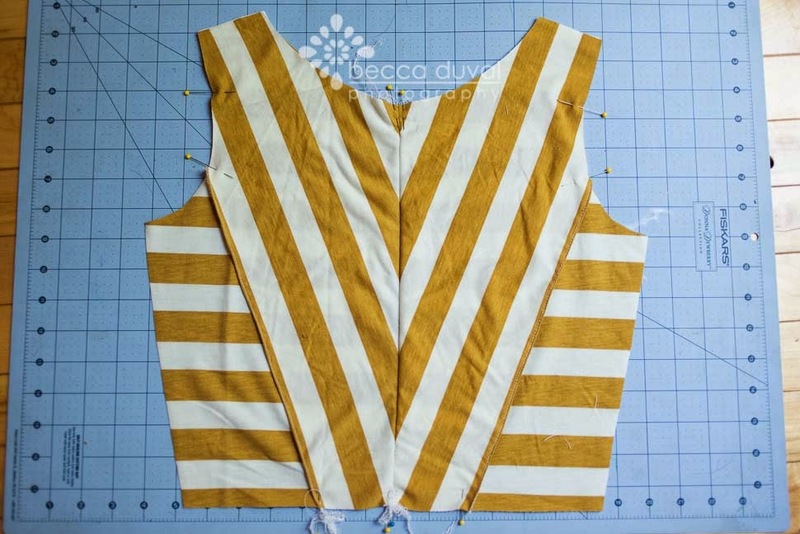 So I cut a front and back bodice as directed (with direction of greatest stretch across the width). I measured my shoulder to the top of my bra (where I unhook a nursing cup) = 5 inches. Then I measured a few inches across from my belly button (this bodice hits at the natural waist), to roughly below my.. ahem... utters. 4 inches. 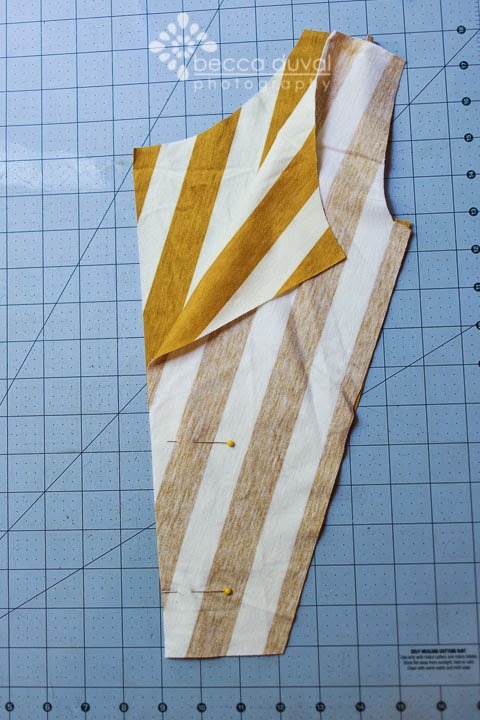 So I measured 5 inches down from the shoulder seam, and 2 inches across on the fold. 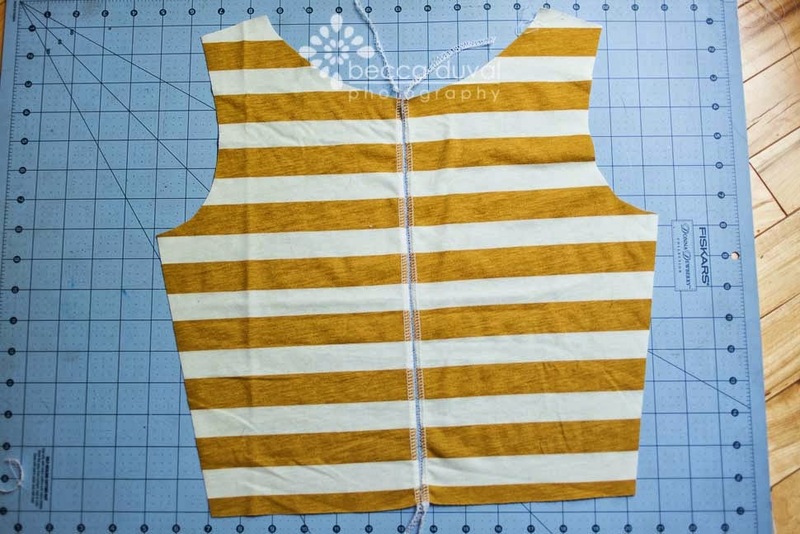 New pattern piece in hand, I lined up the outside edge of the bodice along one of my stripes. 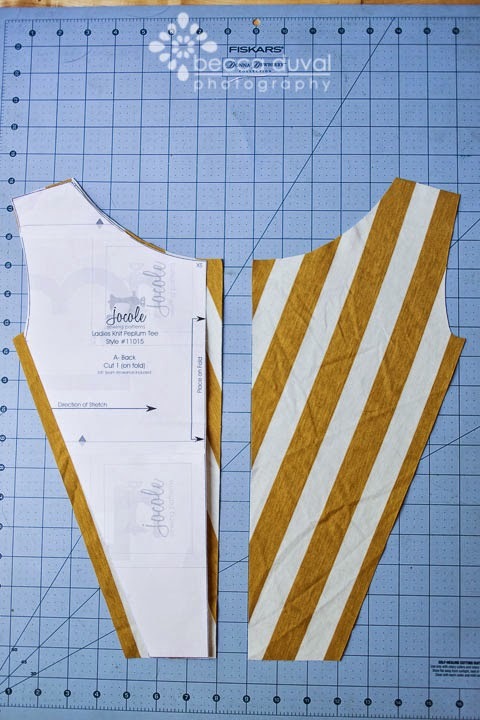 Added a 1/2 inch seam allowance along the inside AND outside bodice pieces, then cut another mirror-image. 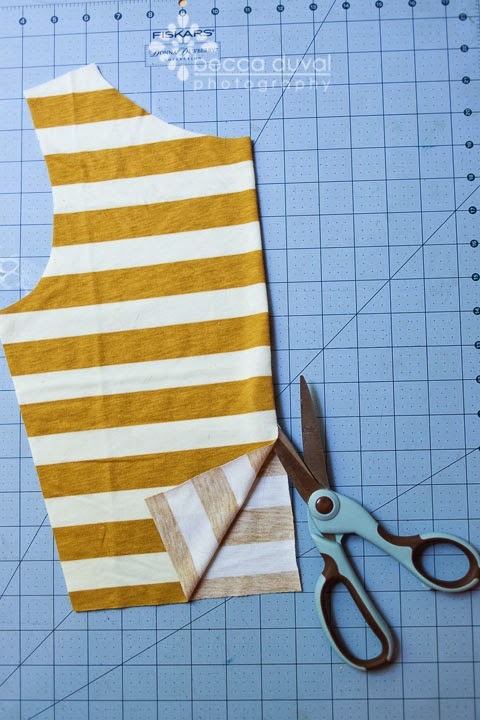 Lay these pieces right-sides-together, being careful to match the stripes. Stitch the center seam with a 1/2 inch seam allowance. Then neatly hem the outside edges. 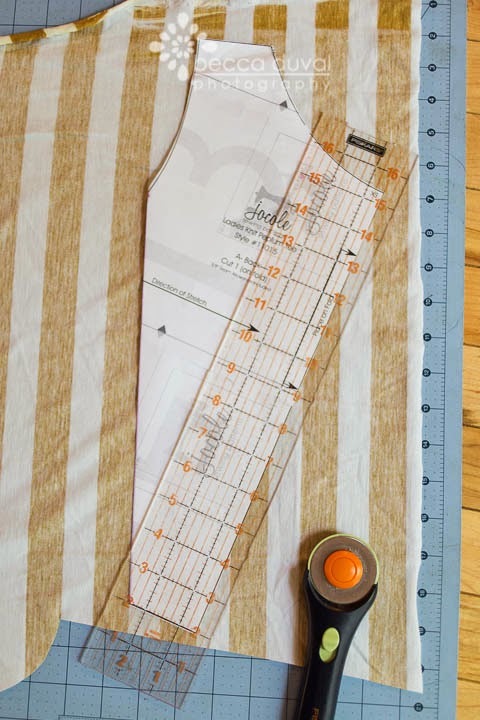 Now grab your front bodice, and cut along the fold. and baste together! 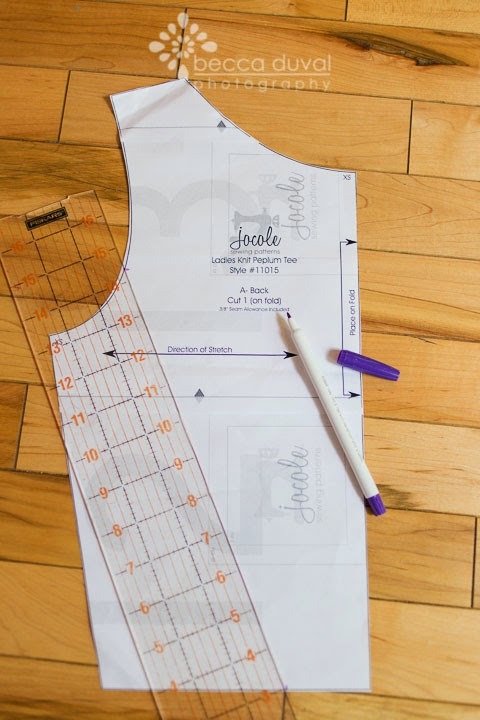 Then assemble the rest of the top per pattern instructions, and voilà! Your very own nursing top! Come on now, that's pretty cool huh?? Whenever babe gets hungry, you can nurse discreetly with no trouble at all! 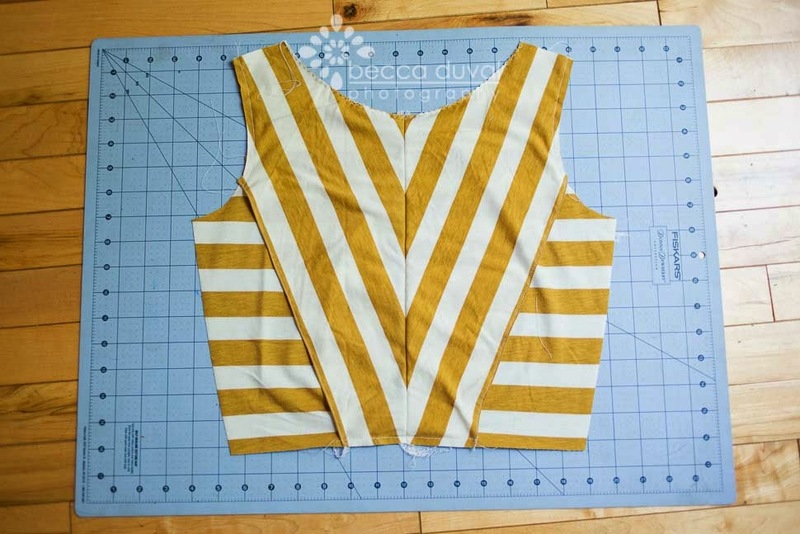 And when you're done nursing, you still have a top you'll be stoked to wear anyway :) Now go on and make one.. or ten! OMG I'm going to try this, I have a need to my 15 month old.